Jude Law joins the Cast of Fantastic Beasts 2 as an Iconic Harry Potter Character! The wait is finally over as Warner Bros. Pictures has officially announced as the title of the second J.K. Rowling Wizarding World adventure. 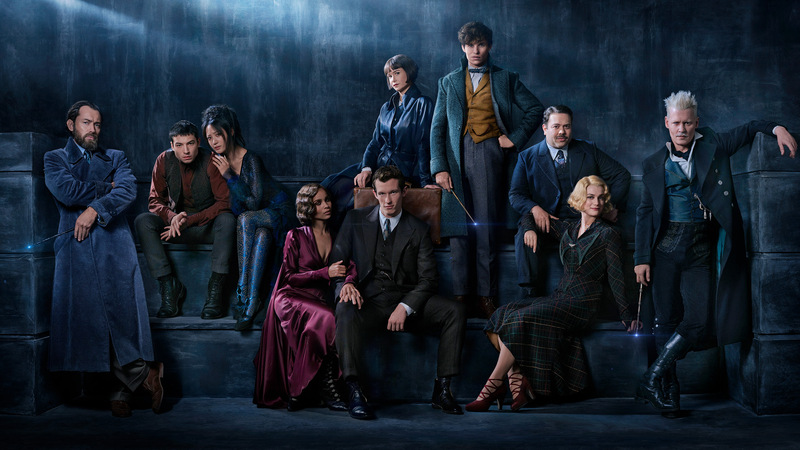 Opening November 16, 2018, Fantastic Beasts: The Crimes of Grindelwald features an ensemble cast led by Eddie Redmayne, Katherine Waterston, Dan Fogler, Alison Sudol, Ezra Miller, and Johnny Depp. Check out the official cast picture below and let us know if you see anybody new! That’s right folks, Jude Law is on set and is going to play a young Albus Dumbledore, one of J.K. Rowling’s most beloved characters in the Wizarding World! At the end of the first film, the powerful Dark wizard Gellert Grindelwald was captured with the help of Newt Scamander. Making good on his threat, Grindelwald escaped custody and has set about gathering followers, most unsuspecting of his true agenda: to raise pure-blood wizards up to rule over all non-magical beings. In an effort to thwart Grindelwald’s plans, Albus Dumbledore enlists his former student Newt Scamander, who agrees to help, unaware of the dangers that lie ahead. It’s another long wait until November of 2018 but hey maybe we can cast a spell on ourselves to wake us up when October 2018 ends… or was that September? Previous articleDragon Ball Super Episode 116: We Have to Talk About that Kamehameha! Next article7 Anime Protagonists who are too Smart for Everyone Else’s Good!